This black and white lithograph is another of Fichter’s abstracted prints. 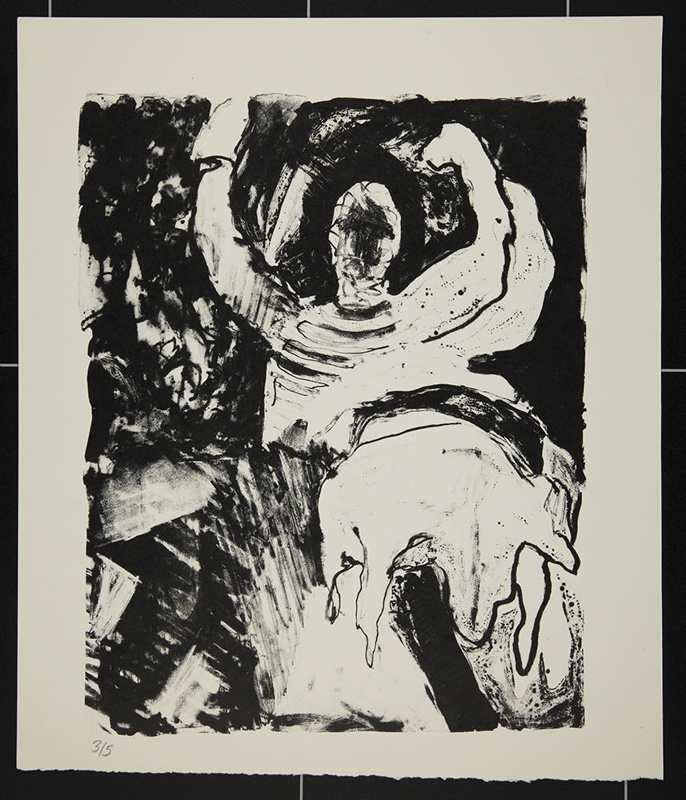 It shows what could be a human form, arms raised, but it could also simply be abstract shapes and forms. There are three copies.